Found 2 file extension associations related to Canoco and 2 file formats developed specifically for use with Canoco. 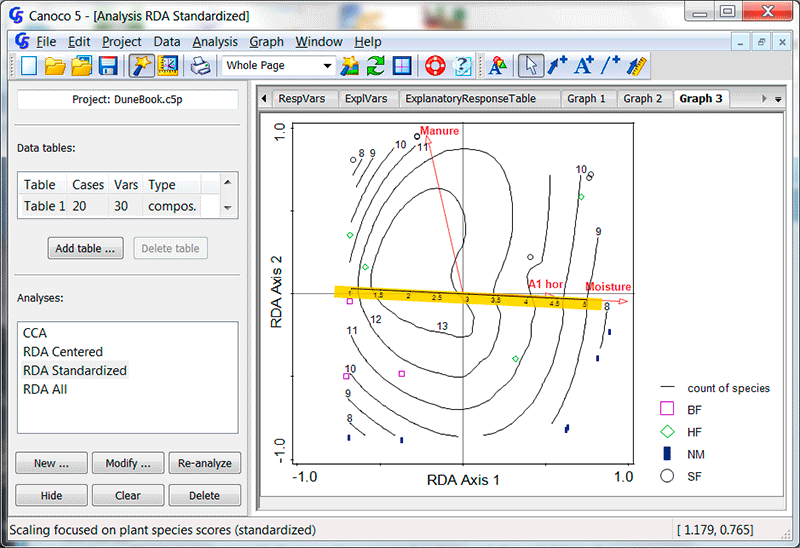 Canoco is one of the most popular programs for multivariate statistical analysis using ordination methods in the field of ecology and several related fields. User's Guides of the recent Canoco versions (4.0 and 4.5) were cited more than 6900 times in the past 16 years (1999-2014, ISI Web of Knowledge). If you need more information please contact the developers of Canoco (Plant Research International), or check out their product website.